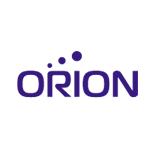 Orion Technology is a Taiwan-based certified partner of Cinterion Wireless community with more than 10 year experience in automobile electronics and GPS equipment manufacture and wireless communication technologies delivery. Company solutions are utilized for fleet management, remote vehicle diagnostics and reporting on its condition. The company also develops carsharing and leasing business lines. The chart below shows the changes within the last 30 days in the number units of Orion Technology devices type are connected to Wialon Data Center.